Combines unidirectional carbon fiber and high-spec 7075 aluminum for superb strength and low weight, with stainless steel fittings for total security. 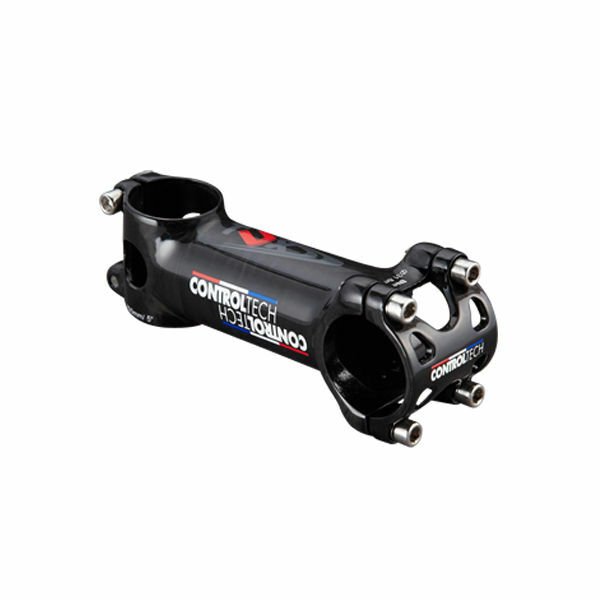 Available in seven lengths from 70mm to 130mm, to truly suit every bike and every rider. Flips to give a 5º rise or drop. The aligned fibers of unidirectional carbon allow a very precise layup for huge strength in critical directions. 7075 aluminum is alloyed with zinc and magnesium for very high strength and fatigue resistance. Stainless steel bolts are extremely robust, and corrosion resistant. Fits the near-ubiquitous 28.6mm steerer and 31.8mm bar clamp sizes.